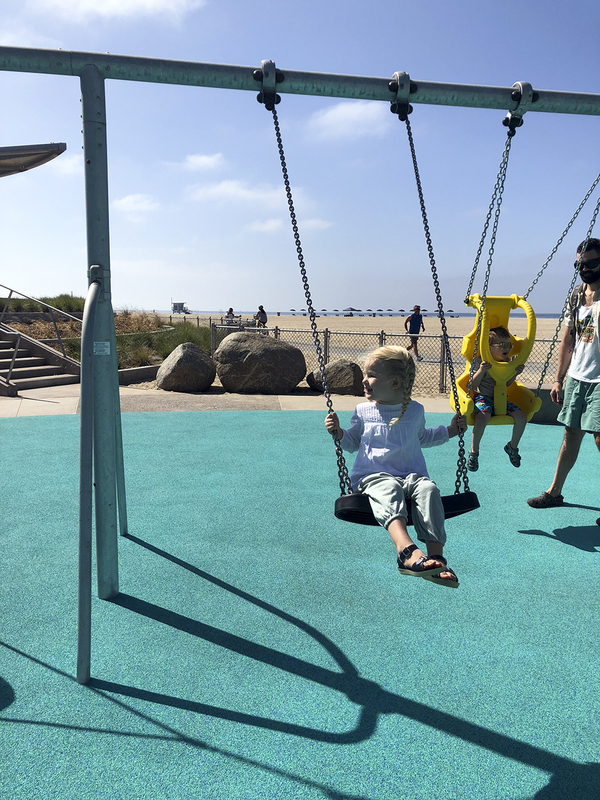 We just returned from a three week vacation in Europe, and the first thing we did when we woke up was hit the newly opened (and highly anticipated) playground at North Beach in Santa Monica! 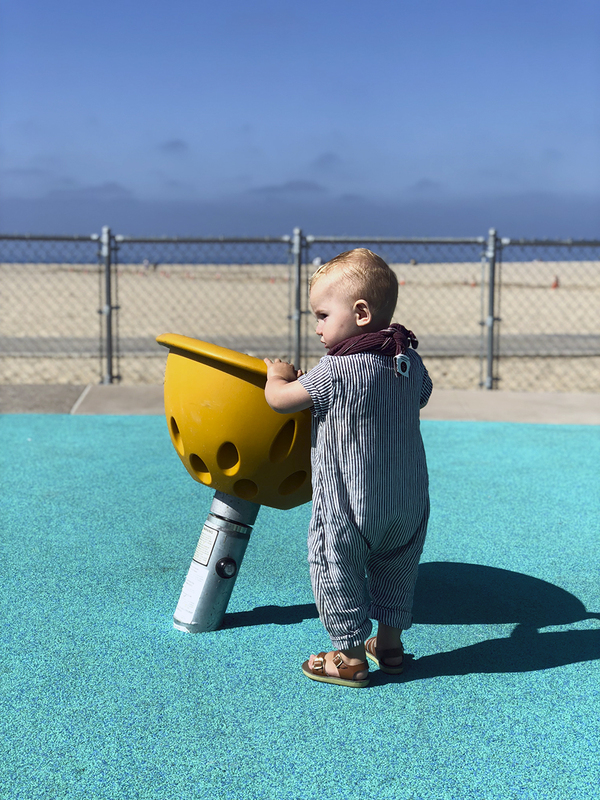 We’ve been driving past the construction off of Pacific Coast Highway (on our way to a beach in Malibu, usually) for months. We couldn’t wait to see it and test it! The highlights of the new playground start with the fun colors! Blue, green, orange and purple hues make this new ground stand out from miles away. 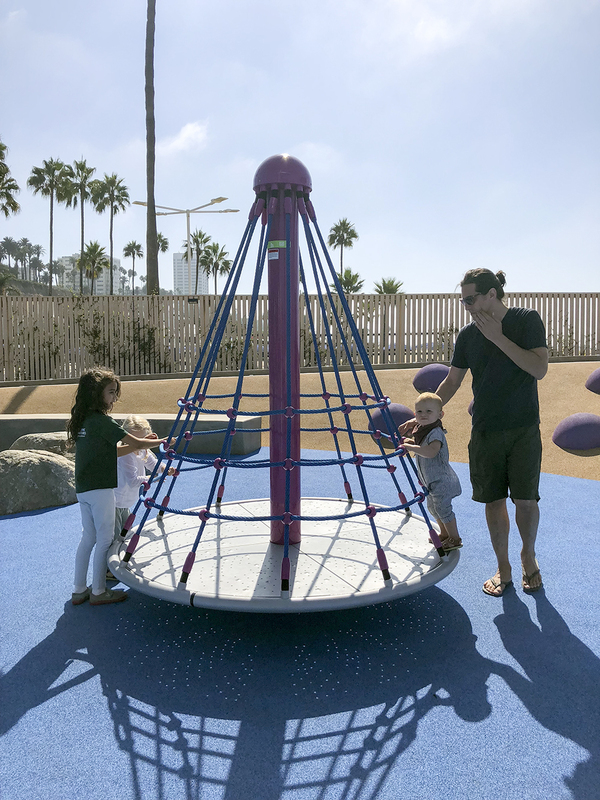 The equipment is unlike any other playground in Santa Monica (we’ve tried them all…), which is fun for the kids and the parents just as much. Its a breath of fresh air! Literally, because you are at the beach! Small kids, big kids and adults all find something fun to do here. 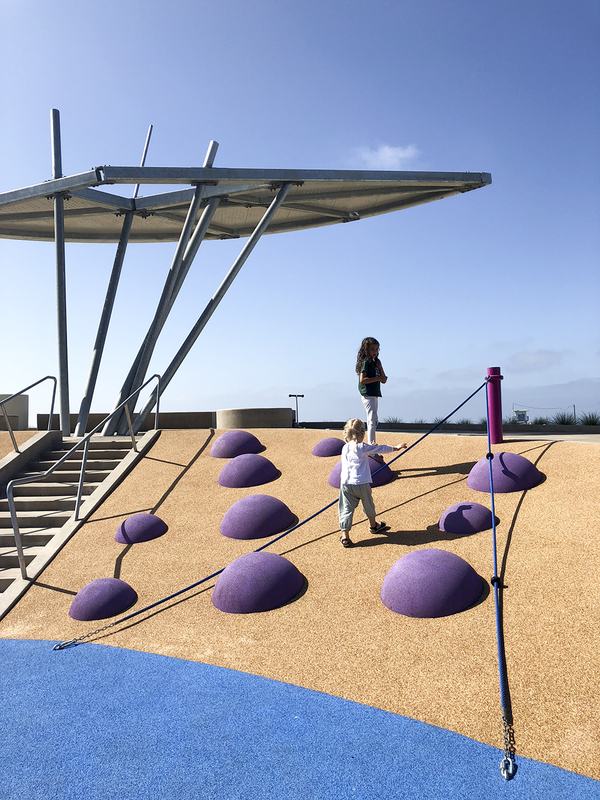 The ground is soft and there are purple raised dots throughout the park, which leave so much room for imaginative play. There are three sculptural shading structures, but there is not much shade overall. The restroom, the beach bike path and the beach are right outside the playground. There are two play areas for children 2-5 years old and children 5-8 years old. But best of all (! ), this playground is universally accessible, meaning it has barrier-free equipment and increased maneuvering space. 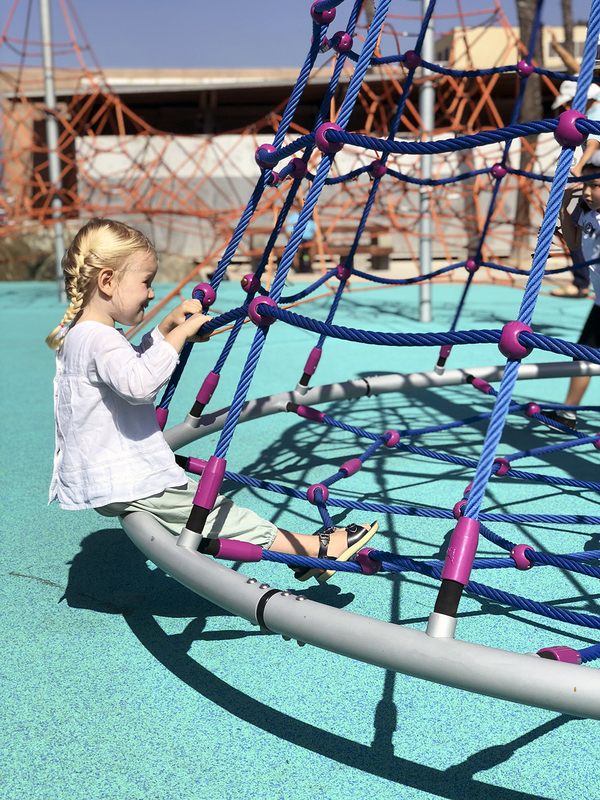 Children using a wheelchair and children with physical, cognitive, vision and hearing disabilities can enjoy this playground, and it’s a way to build an inclusive community. Brilliant! 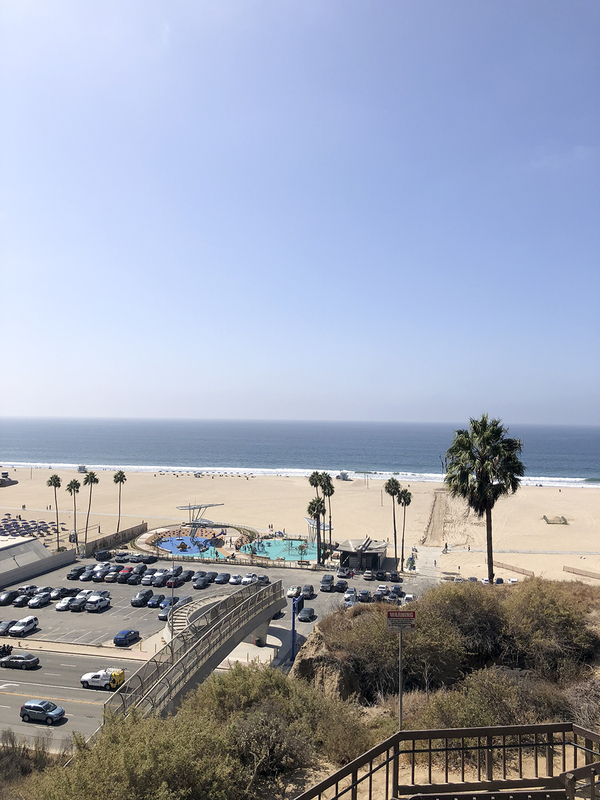 Parking: There is a parking lot right by the park, off of busy Pacific Coast Highway. There is a $12 flat fee to park. 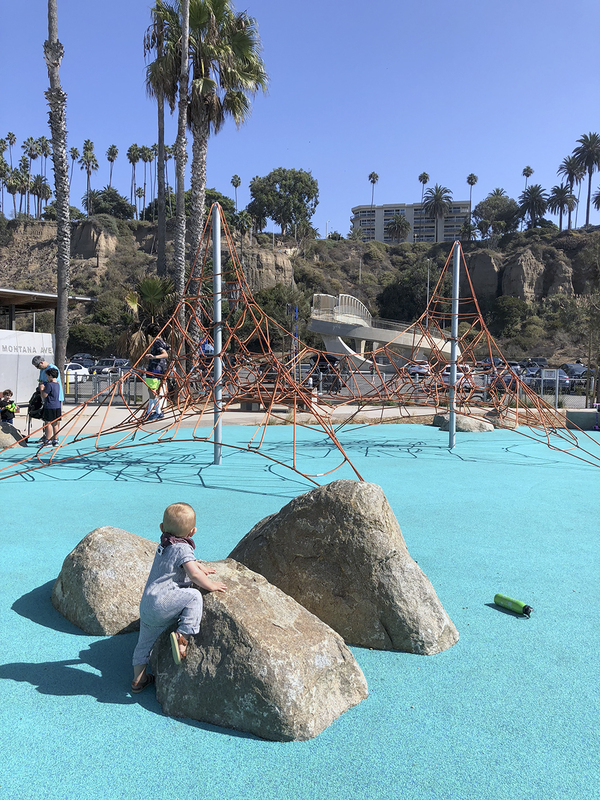 Or, you can park at the Palisades Park on the bluffs overlooking the park, and walk across the bridge which crosses over Pacific Coast Highway to access the North Beach Playground. Parking will cost less with this option. You can also arrive via the bike path!